If you live in an area where the winter temperature averages below 45 degree, like the Eugene, Oregon area, then you’re going to need winter tires on your car, SUV, AWD, etc. Winter tires don’t behave like All-Season tires, and their distinct differences can be the difference between stopping safely and skidding out in an emergency braking situation. Winter tires have special winter grade rubber designed specifically to increase traction, handling and braking in cold weather conditions including ice and snow. 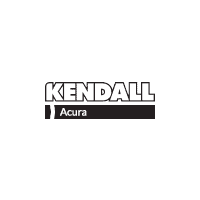 This is one of the most common questions we are asked at Acura Eugene come the winter season. Having four winter tires on the road is not just recommended, it’s necessary. In RWD and FWD vehicles, drivers think that the two drive wheels are the only important factors when changing to winter tires and the other two tires are just along for the ride. This mindset is outdated and no longer relevant because the design and composition of modern winter tires has changed ever so greatly. Today’s winter tires are made of different composites and designs that increase winter weather traction by 25 to 50 percent more than older tires. The Rubber used on modern winter tires also helps adapt your driving experience towards dry and wet road conditions. Using just two winter tires on a vehicle results in uneven traction that can have serious handling consequences. Using four winter tires ensures optimal traction and control for your car or SUV. Please always use four winter tires, to ensure you and your vehicle’s safety as well as the safety of others on the road. What’s the difference between Traction from snow tires and Traction Control? Traction control prevents wheel spin in harsh driving conditions, but this particular system does not create any extra tire traction. Maximum traction is always contingent on the four contact points created by your tires. The better traction your tires provide, the more effectively the traction control system will help you drive more safely. Cold temperatures will cause all-season compounds to harden, losing elasticity and traction.